Cameron Bailey may be the artistic director of TIFF and a renowned film buff, but reggae music will always have a spot in his heart. He'll be exploring this passion at Ah Sey One: A Reggae Insiders' Musical Journey next week. 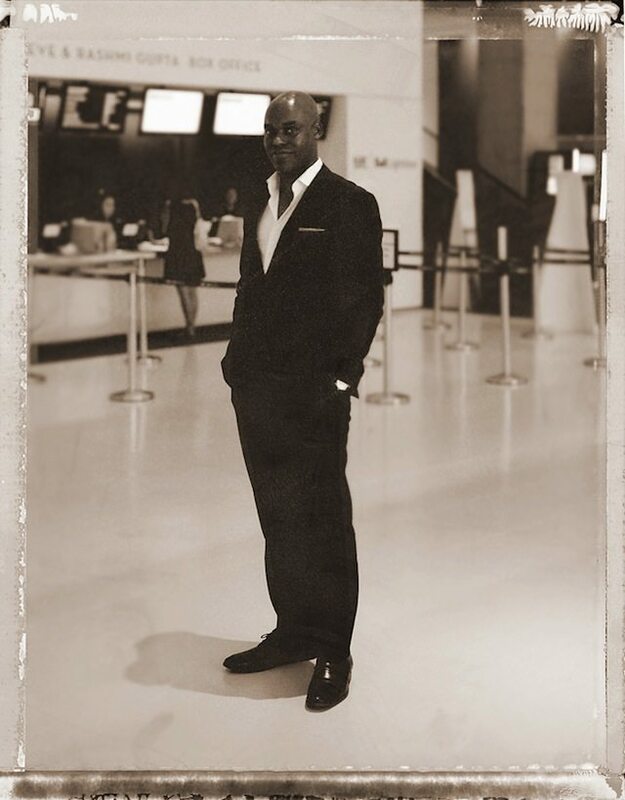 Cameron Bailey, artistic director of the Toronto International Film Festival and avid reggae aficionado. Wednesday, August 29, 8 p.m.
One wall of Cameron Bailey’s office at the TIFF Bell Lightbox is covered with black and white photos of Hollywood celebrities and iconic filmmakers. Another holds a large, complicated-looking grid of colour-coded Post-Its—the schedule for the 2012 Toronto International Film Festival. As TIFF’s artistic director, Bailey’s life is consumed with jet setting and film screenings, but few people know about Bailey’s second passion: reggae music. With TIFF only a few weeks away, Bailey is taking advantage of his precious down time to speak about this passion at Ah Sey One: A Reggae Insiders’ Musical Journey, where he’ll explore the history and intricacies of the genre, joined by The Sattelites and Broken Social Scene’s Brendan Canning. Ah Sey One is the second installment of inTO, a new monthly series of events that are a sort of exclusive cultural salon in Toronto. We sat down with Cameron Bailey recently, to chat about this other artistic passion. Torontoist: Where did your love for reggae begin? Cameron Bailey: I think it began before I was conscious of it. My parents met in England, though they were both from Barbados, in the ’50s and early ’60s as reggae was emerging out of ska music. My father used to DJ parties and weddings and that kind of thing, and he had a large music collection, which I didn’t really discover until later when I was older, here in Toronto. But he would have been up on all the latest tracks. In the early ’60s when you would see ska music, and then rocksteady, and finally reggae migrate from Jamaica to the UK—he would have been playing all that in our house. I think that’s probably the earliest origins of my interest in it. And it’s a kind of rhythm, I just love it. It feels like home. I lived in Barbados between the ages of four and eight, and though reggae is from Jamaica and not Barbados, it would have been played a lot at the time where I was growing up. And when you come to a new country, often you look for things that remind you of home as you try to integrate into a new society. I think the music was a part of that. And then where I really came into my own understanding of reggae was when I was in my early twenties. I was at the University of Western Ontario, and I worked as an entertainment reporter for the campus newspaper and co-hosted a radio show on CHRW and began to explore lots of different kinds of music. And then through punk and new wave, reggae, through The Clash and Elvis Costello and the ska revivals, The English Beat and The Specials, that’s really where my taste for it came alive again. Then that prompted me to go back into the ’70s tradition of reggae. What is the reggae scene like here in Toronto? There’s a strong history here in terms of artists who came up to Toronto for whatever reason, often not for their music but for personal reasons, but ended up making music here. And of course, there are bands that formed here that began to expand the audience for reggae here over the years. Now, I’m not that in touch with it as I used to be because I’m so immersed in film, but now it feels like reggae is more a part of the musical landscape of the city, that it’s a kind of music that you don’t have to be a reggae band to play. Pop bands, R&B bands, world music bands will play reggae music as part of their repertoire, and it feels like a very Toronto kind of beat. What are some misconceptions that you think people have of reggae? I think the misconception about reggae music is the same as any music someone doesn’t know, and that’s that it all sounds the same. You can say that jazz music all sounds the same, baroque music all sounds the same, hip hop all sounds the same, whatever, country music all sounds the same. People say that about reggae sometimes because they haven’t spent enough time with it. Or they think there’s a certain rhythm to it and that’s all reggae music is—you know, the fact that it’s on the one and the three instead of the two and the four, that seems to be where people stop when it comes to reggae music. Or, you know, they’ll think it’s all ganja music, it’s all about getting high. But it’s not that either. And also since the rise of dancehall reggae and some of the more abusive lyrics you sometimes find in dancehall reggae—some people think that’s what reggae music is too—in the same way they’ll dismiss hip hop music as violent. So, like hip hop, reggae music is so much more than that. Anytime you hear that kind of criticism of any sort of music, you have to realize where it’s coming from, and often it’s just a lack of understanding or exposure to the music. What are some of the different types that people might not know about? Do you have a favourite? One of the ones that I think is most beautiful to explore is Lovers Rock, the kind of reggae music that came largely out of the UK in the mid-’70s. You had to play it in these basement dancehalls, [it was] very much connected to the migration patterns in the UK with Caribbean immigrants trying to find social networks amongst themselves because they were outcasts, they were subject to often quite racist violence—my parents were a part of that in England—and they would find these places to come together, in basements of people’s homes sometimes or a Saturday nightclub in a room that’s half the size of this room, with a DJ and these giant speakers and this reggae pounding and people dancing really close. It was slow and heavy, and very sensual. That’s the kind of music that if you know where it comes from and how it developed that way, I think it’s fascinating to explore. And you’ll be talking more about this at Ah Sey One on the 29th? Yeah, I want to try to communicate as much as I can about why I love this music and what it means to me, and then open it out to the floor and have a free-flowing conversation and have actual musicians there to illustrate what we’re talking about. I think will be great. I do feel that reggae has a really rich history, a lot variety in it, it communicates so many different things and I want to be able to have that conversation. And what exactly does it mean to you? The art that I like generally is art that can communicate both emotionally and intellectually, and maybe especially politically. So in film, that combination of poetry and politics through the art form is fascinating to me. Reggae music is similar to me in that way, and I think Bob Marley is probably the best example of that. Bob Marley’s music is literally rebel music. It is revolutionary. But it’s also beautiful, it’s sweet and emotive. He can also communicate very profound philosophical ideas in what appears to be very simple language. What I like about reggae is that it can be a vehicle for all of those things. And I find just the rhythm of it to be quite contemplative in a way, I find it opens me up to reflecting and thinking and responding in an emotional way.